Authorities need your help finding a missing mother and her two children. Investigators are searching for a Monroe mother and her two children who have been missing since Dec. 22. Kenyah Randall-Edwards, 16, is thought to be in Monroe or Covington in Georgia or Brooklyn in New York according to the National Center for Missing and Exploited Children. The FBI is assisting in the missing persons case. Agents believe Edwards has her two children with her as well, 2-year-old Kensharri Randall-Edwards and 1-year-old Shariah Randall-Edwards. 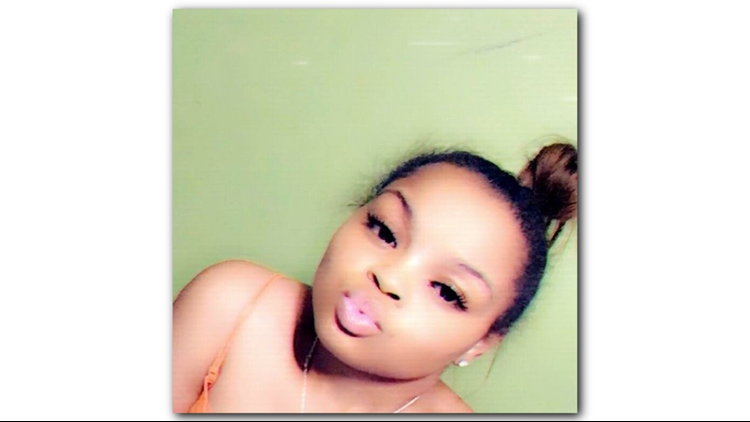 Kenyah Randall-Edwards, 16, is missing from Monroe with her two children, 2-year-old Kensharri AND 1-year-old Shariah. Walton County Sheriff's Office Captain Kirk McLeroy and Darren Vincent have been searching for Edwards and her children -- all three of whom were staying with a foster family in Monroe. "The goal was to keep them together," Vincent said. "I don't think they wanted to separate the mother and children." They haven't been seen since the night of Dec. 22, police said. "You've got a 16-year-old who doesn't work, doesn't have a car and is the mother of two very young infants, essentially," said McLeroy. "The foster parents are quite concerned ... there is no way for them to sustain themselves without some kind of help." Investigators are checking with friends, schools and tracking social media for clues. After an extensive search in Walton County, detectives requested help from the FBI and Georgia Bureau of Investigation. "Based on the leads we are getting, it seems she has reached out to her biological family in the New York area," McLeroy said. Even if the teen left of her own free will, officials and people in the community are concerned about the two babies. Although Edwards is the biological mother of the two children, she needs permission to take them across state lines because they are in state custody. "Our main concern is that the 1-year-old and 2-year-old are receiving the proper care that they really need," McLeroy said. "She's taken the children without permission and against the state unlawfully." Anyone with information is asked to call 911 or the Walton County Sheriff's Office at 770-267-6557.